Navigation, Diesel, Onboard Communications System, iPod/MP3 Input, NAVIGATION, PREMIUM PACKAGE, DRIVER CONVENIENCE PACKAGE, WHEELS: 6.5J X 16 LIGHT-ALLOY. 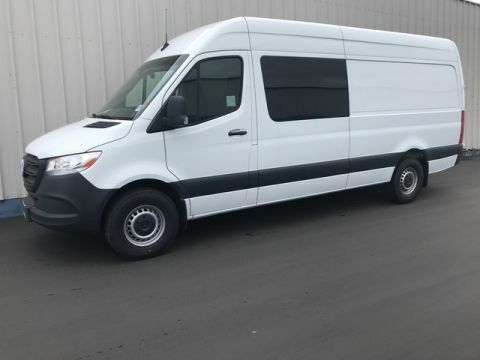 Arctic White exterior and Fabric Black interior, Sprinter Crew Van trim. CLICK ME!======KEY FEATURES INCLUDE: Turbocharged, Diesel, iPod/MP3 Input, Onboard Communications System MP3 Player, Third Passenger Door, Keyless Entry, Privacy Glass, Electronic Stability Control. ======OPTION PACKAGES: PREMIUM PACKAGE Wet Wiper System, Active Lane Keeping Assist, Active Braking Assist, Rain Sensor, DRIVER CONVENIENCE PACKAGE ATTENTION ASSIST®, Blind Spot Assist, Electrically Folding Exterior Mirrors, 2 Additional Master Keys, Multifunction Steering Wheel, Heated & Electrically Adjustable Exterior Mirrors, Driver Seat Base 12V Power Outlet, Hinged Lid For Storage Compartment, WHEELS: 6.5J X 16 LIGHT-ALLOY, NAVIGATION, REAR VIEW CAMERA W/HEAD UNIT DISPLAY, CRUISE CONTROL. 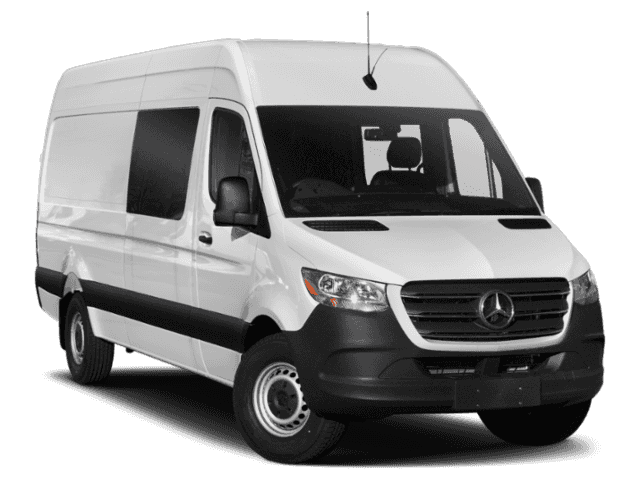 Mercedes-Benz Sprinter Crew Van with Arctic White exterior and Fabric Black interior features a V6 Cylinder Engine with 188 HP at 3800 RPM*. Horsepower calculations based on trim engine configuration. Please confirm the accuracy of the included equipment by calling us prior to purchase.